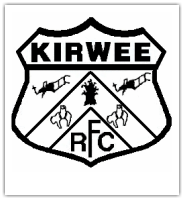 Kirwee Rugby Football Club Inc.
Kirwee is a club where there is still pride in the jersey. Work hard, play hard and be part of the club culture. Where traditions are valued and a presence in the future is assured. Kirwee epitomises the qualities and ideals that have made country rugby such an important part of the culture of rural New Zealand. On the field we play honest, uncompromising, committed rugby, and off it we enjoy each others company, providing the foundations for friendships that can last a lifetime. To promote rugby as the top winter sport in the Kirwee area in terms of participation, enjoyment and support. Recognition in the Ellesmere area as good role models for young people through our attitude, social activities and commitment.